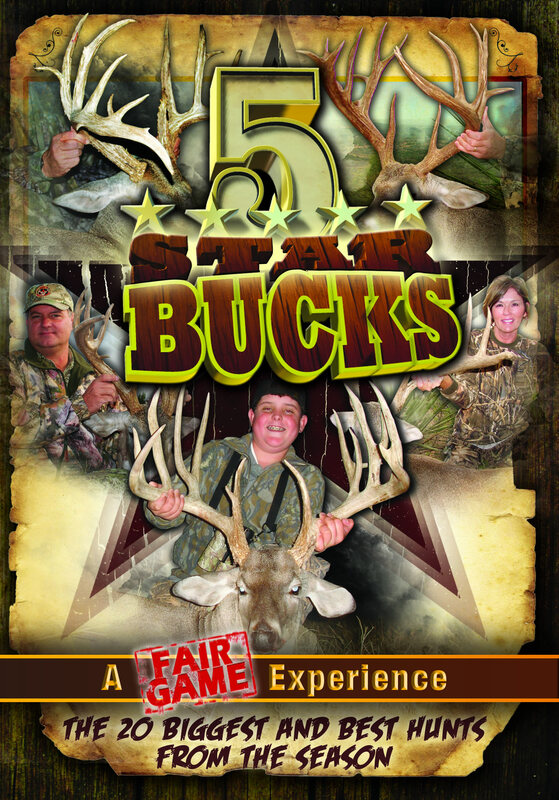 5 Star Outfitters, along with Fair Game Productions, teamed up to produce the DVD "5 Star Bucks". This DVD is exhilarating! You will enjoy watching our 5 Star Outfitter client's big deer hit the ground. 5 Star Bucks features over 3,300 inches of antler on 20 whitetails with the three largest deer harvested scoring 200+ B&C, and the largest scored over 227 B&C - that's impressive by anyone's standards!! You don't want to miss one of the most exciting whitetail DVDs produced. Click on the DVD cover to order your DVD TODAY!